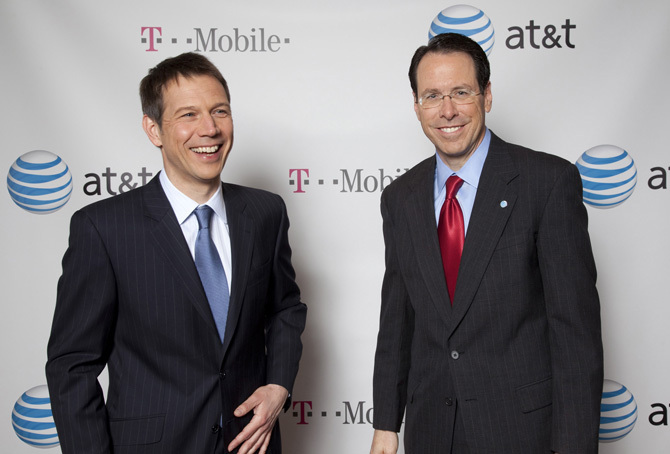 News broke yesterday that AT&T will be buying out T-Mobile for $39 billion. This is particularly hard news for me since I am a happy T-mobile customer and I have never been fond of AT&T. I am not alone in disliking AT&T, just look at the comments of any tech blog about this merger (i.e., Gizmodo, Engadget, Phandroid). Look at the JD Power & Associates reports for customer care scores. Look at what the Apple co-founder, the Woz, said about AT&T. This merger is saddening news for everyone that likes innovation and lower monthly wireless bills. 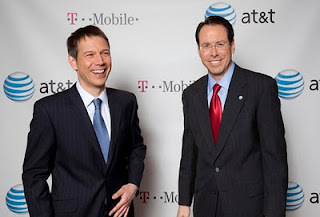 T-Mobile along with Sprint did not have a "large" customer base like Verizon and AT&T, they had to make up for it in other ways, which were innovative and resulted in cheaper monthly bills for us . This meant "MyFaves" from T-Mobile and "night calling starting at 7pm and affordable unlimited plans" from Sprint. This meant that T-Mobile took a chance on Android. Verizon and AT&T play a more conservative game. With Sprint bleeding money every quarter, they soon will be bought out too, leaving an oligarchy of two giants, Verizon and AT&T. Do not drink the Kook-Aid that AT&T is selling about the US Wireless market being vibrant and competitive. While there are other small wireless carriers out there, like MetroPCS, they can not compete with Verizon and AT&T, their market share proves that. The only hope we have is in the Federal Communications Commission (FCC), they approve all mergers in the United States of America. They need to reject this merger. However, knowing the FCC, and their inability to protect, us, the consumers, this deal will go through.